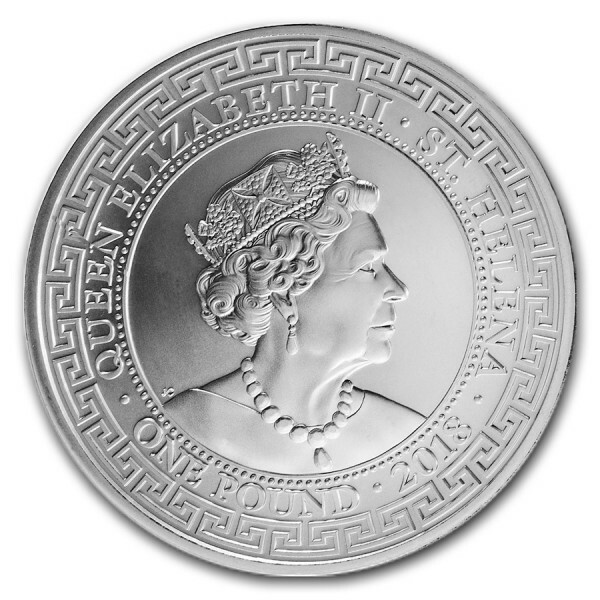 The original Silver British Trade Dollar was issued at a time when trade in the East needed a medium of payment. Obverse: Design is based on the early 1900s Silver Trade Dollars. The center of the coin features a helmeted Britannia looking to the left with her right hand grasping a trident and her left hand resting on an oval shield, bearing the united cross surrounded by the inscriptions "THE EAST INDIA COMPANY" and "TRADE DOLLAR". The perimeter of the coin has a traditional Chinese scroll-pattern reminiscent of the original Silver Trade Dollars of 1895-1935. A merchant ship under full sail is also in the background. 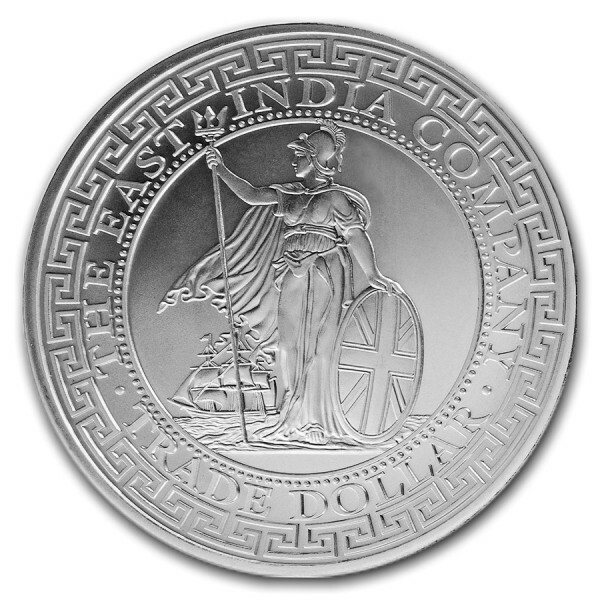 It became necessary to produce a special dollar for trading in the British Colony when the price of Silver rose rapidly in value between 1875 and 1895. The Silver price disturbed trading and resulted in a very serious shortage of minted dollars. To overcome the threat of a currency famine, The Royal Prerogative of the English sovereign gave approval in 1894 for the minting of a special British Dollar for general use in Far Eastern Trade. These coins were given an Eastern look to help ensure acceptance by countries outside of British dominion and also did not indicate a country of origin on the coin which helped allow them to circulate throughout China where they were readily accepted as a medium of exchange. To indicate that the coin was genuine, Chinese merchants would occasionally stamp the coins with a "chopmark" or "counterstamp" to indicate that the coin was genuine or advertise their businesses. "Chopmarks" do not adversely affect the value of these coins in the secondary marketplace.